"Pratt and Grabowski went the extra mile to supplement their magnum opus by providing this Workbook and Technical Supplement. As a finance professor for many years, I know from experience that students and teachers really value supplements to textbooks. It allows the teacher to help the student to review and apply what was presented in the text, and the PowerPoints are a great service to teachers in course preparation. The website provides various worksheets that show the inner workings of the models. I enthusiastically recommend the Workbook and Technical Supplement to finance professors and teachers and their students. "The Workbook and Technical Supplement provides a detailed tutorial on understanding and executing the theoretical concepts explained in the Fourth Edition. This supplement is three books in one. Part One is a step-by-step tutorial on estimating certain key components of the cost of equity capital. Part Two provides a bridge between the theory and some practical applications, such as estimating the cost of capital for real property. Parts Three and Four allow the readers to test their comprehension of the concepts and identify areas for a review. 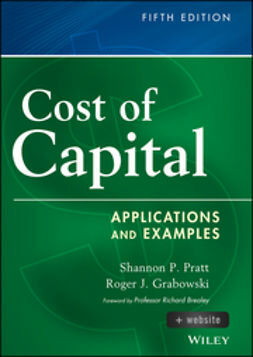 It is almost as good as having Professors Pratt and Grabowski looking over your shoulder to ensure that one is both comprehending and correctly implementing the complex concepts.."
"This text provides the most comprehensive coverage of cost of capital issues that I have seen to date. Messrs. Pratt and Grabowski have created a very accessible and lucid treatment of what most would consider an opaque subject. The Fourth Edition is especially important for its new topics as well as expanded coverage of concepts from earlier editions. Of particular interest is the review of the extreme market conditions during the 2008â€“2009 crisis and the effect that the unprecedented volatility had on traditional cost of capital models. 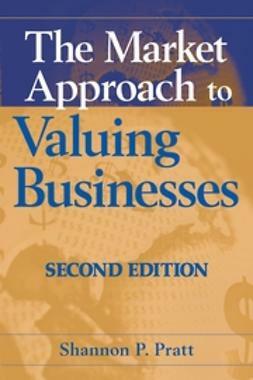 For years, Pratt and Grabowski's research has informed the business valuation curriculum of the American Society of Appraisers. This book will be added to our reading list, and thousands of students worldwide will benefit from the state?of?the?art content of the Fourth Edition and the companion Workbook and Technical Supplement. 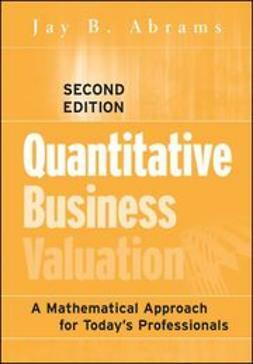 Furthermore, Cost of Capital, Fourth Edition should be a mandatory part of every valuation practitioner's library. 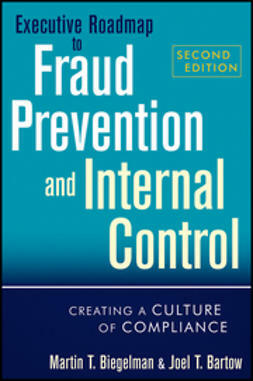 If you buy this book, you can expect it to become well worn and remain on your desk within arm's length until the publication of the Fifth Edition." 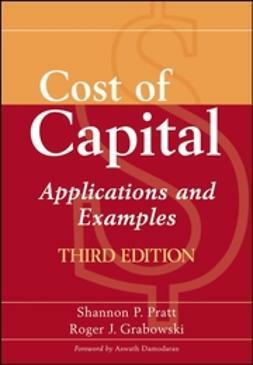 "Cost of capital is so much more complex than it used to be. 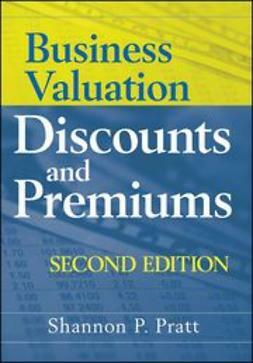 With so many additional considerations regarding each variable of the cost of capital formula, this book is a must for anyone that needs to understand or develop a discount rate. Even the most experienced practitioner will benefit from the outstanding work of Pratt and Grabowski. This book has to become part of your library." â€”Gary R. Trugman, CPA/ABV, MCBA, ASA, MVS, President, Trugman Valuation Associates, Inc.